2 Jun 2018 21:59 UTC - After the 23 hour freeze of the ERC-20 tokens, the different BP teams can now start the launch process. The first step is to retrieve a full snapshot of all balances and all registration keys. 3 Jun 2018 00:35 UTC - After 2.5 hours the first ever final snapshot files are published by EOS Authority. 3 Jun 2018 02:58 UTC - Initial snapshot recreated by 2 other BPs. 3 Jun 2018 09:35 UTC - Consensus reached to use the snapshot file as generated for launch by the EOS Mainnet Launch Group (EMLG) and third parties. The Community including Block Producer candidates, will verify the contents of the chain, voice any concern, work out solutions and finally validate the chain. - Was the snapshot imported correctly? - Are all the balances and EOS public keys correct? - Were the unregistered balances loaded for future use? - Are the Ricardian contracts in place? - Are the system contracts loaded without any alterations? - Are we running on the correct version of the codebase? - Is the all powerful eosio used for loading removed? Two major tests are being carried out: Security Testing and Software Testing. EMLG and third parties will need some time to verify that the software performs well. This stage will continue for 48-hours and repeat in the event that a major bug is found. Some security items, all patched & being verified. 8 Jun 2018 13:00 UTC - Security & Testing, no blockers - Great! 9 Jun 2018 01:00 UTC - That's a GO for launch! The Block Producer community will release a joint statement once it's safe to vote. Please wait for the community to make an announcement. Voting can begin only after chain is enabled. For an EOSIO chain to be considered enabled, the chain has to be accessible to the public via open end points. The length of this phase will depend on how quickly all the block producers are securely meshed together and how quickly they validate the chain (a quick repeat of the BOOT process and the testing phase). 10 Jun 2018 13:00 UTC- Transactions switched on. Once 15% of tokens are staked and used to vote, the chain is considered valid and normal functions are activated. The length of this phase will be as long as it takes for the token-holder community to act. All Appointed Block Producers (ABPs) will be immediately replaced by the Elected Block Producers (BPs) that have been voted in by the community upon activation. Once the chain is activated, the token holders will be able to unstake their EOS balances and start sending their own transactions to the eosio blockchain. The transactions can be all kinds of transactions from payments, RAM trading, working with Dapps, also expect Airdrops to start, etc. Phase 05: Crossed 150 million! Finally, the moment we have all been working for. After nearly a year long development process and community involvement, we have lift-off! The ideas on a whitepaper are brought to life thanks to all the contribution by a large community of well-wishers! Together we present EOS, a crypto-economic solution for securing life, liberty, property, and justice for all. Along with other crypto platforms we move toward the same end goal: minimizing corruption and maximizing freedom in society. 02:20 UTC - Dan Larimer added in as expert witness.. Welcome! 02:58 UTC - We are now heading into the Go/No-Go vote for 1300 UTC 8 Jan launch. 03:15 UTC - Might need a re-vote, fake votes and some mis-understanding on the question. 03:30 UTC - Revote complete, Votes being tallied. 03:47 UTC - 2/3 + 1 majority for GO not reached investigating reasoning to review why. 03:52 UTC - Major reason seems to be the patch coming up & testing the patch - Quite some backing though the BPs that voted Yes question the preparedness of the BPs that voted No. 03:56 UTC - Wrapping up 3 hour session! 01:30 UTC - Started and all set finally. 01:31 UTC - We have a new code that all BPs must run if we get a GO. 01:31 UTC - Just small changes to the code, release notes available. 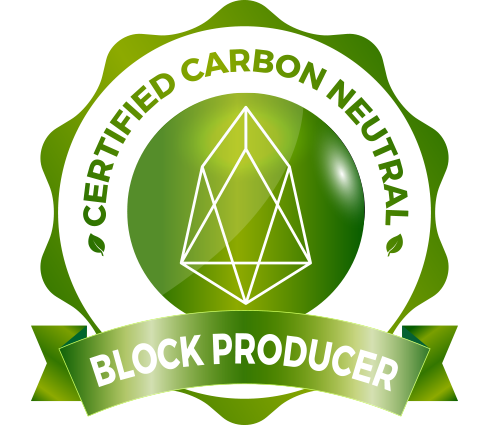 01:41 UTC - EOSIO v1.0.2 is not going to cause major issues, B1 had time so this was added in. 01:43 UTC - Voting to start - Go/No-Go vote: launch in 12 hours 13:00UTC. 01:48 UTC - Huge resounding GO!! 1334 UTC - Actual transactions are switched off but the blocks are going to all interconnected BPs - Great! 1345 UTC - BPs happy to be getting blocks want to complete meshing with everyone else, more time for everyone to connect. 1352 UTC - All agreed: Validating the chain now and unfreeze tomorrow which opens up the chain to the public. 1257 UTC - Still working with the BP in China trying to isolate the issue. Issue with BP or network? 1300 UTC - We have a live Mainnet!